We leave in less than a month. I’ve been busy getting the bikes ready, oil, tires, chains, the usual stuff. 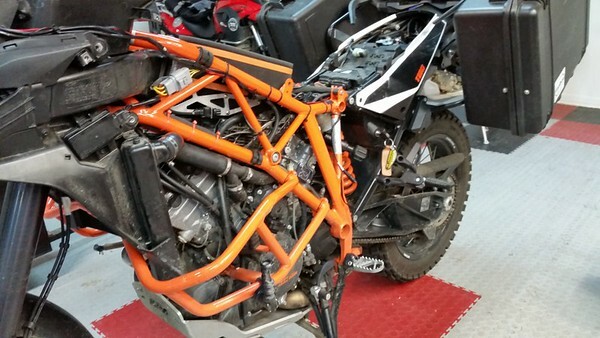 I’ve completely dismantled my KTM not only to make some upgrades but just to see where everything is.